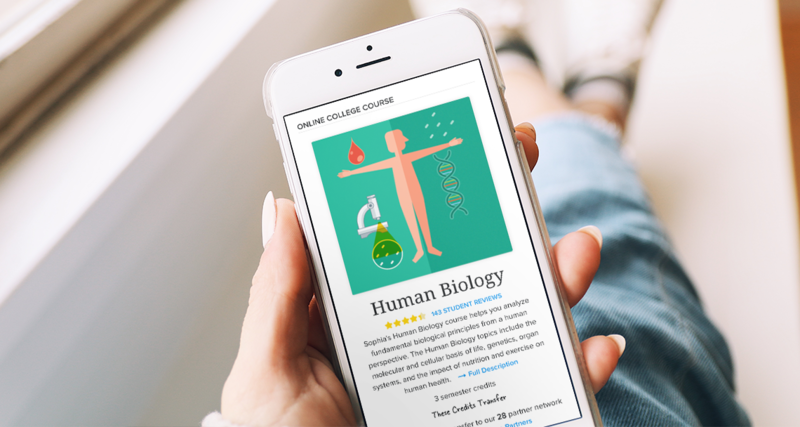 Get more students to and through your institution's degree programs with Sophia's self-paced, competency-based online college courses. Here's how Sophia can help get more students to and through your degree programs. Grow incremental enrollments by offering an alternative starting point for students not ready to commit to a full degree program. 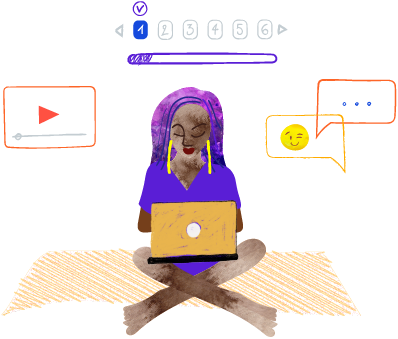 Increase student persistence by adding flexible courses allowing students to increase their speed to degree or take courses in-between terms. Join our College Partner Network and become a destination for students starting their degree pathway with Sophia. 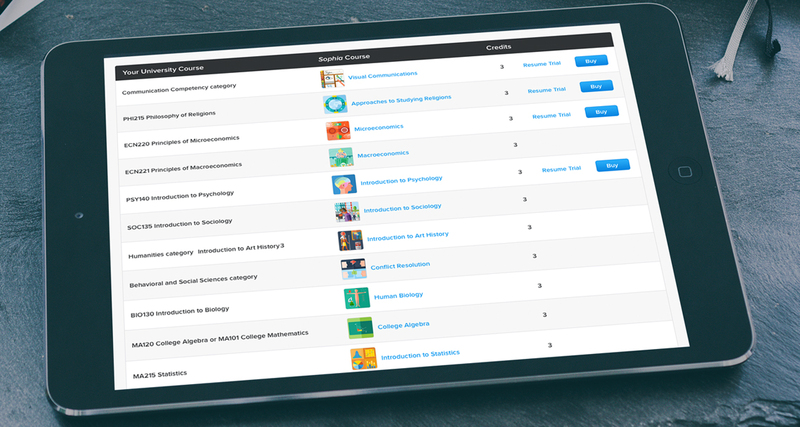 Sophia courses can integrate with your LMS, featuring single sign-on (SSO) and real-time reporting. We can help with credit qualification for incoming students. Sophia provides prerequisite courses to help applicants qualify for undergraduate or graduate programs. 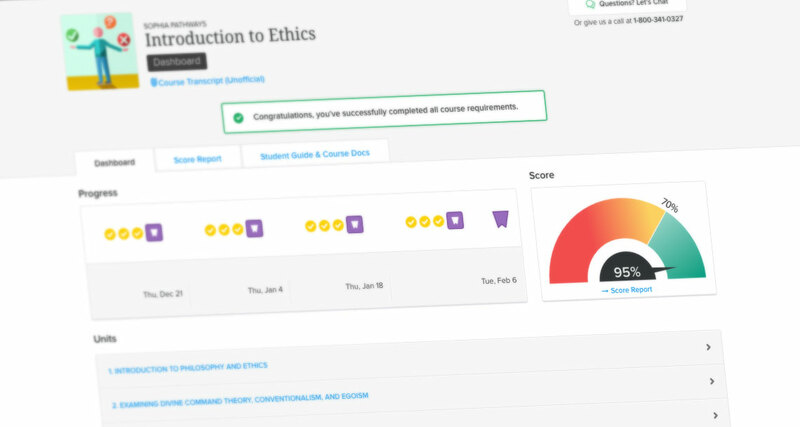 Students can make up credits they may have lost in traditional courses or as part of a cohort by using our self-paced, supportive online courses. What institutions and students are saying about Sophia. ... and they are recommended for transfer and for credit. 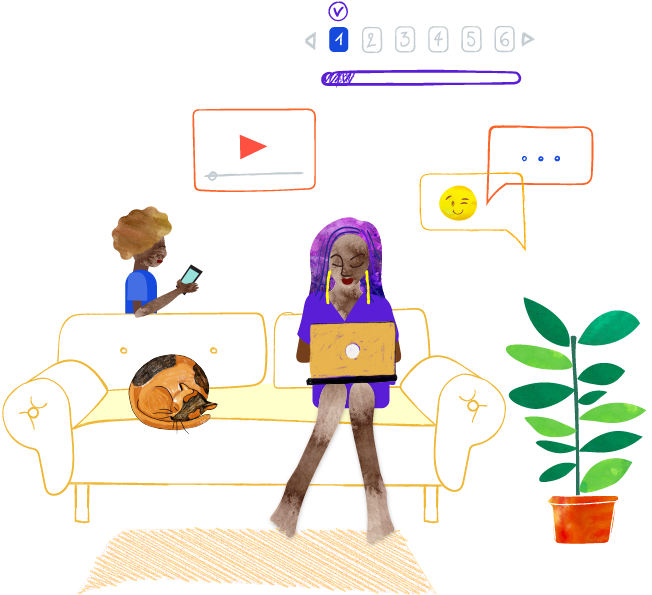 The American Council on Education's College Credit Recommendation Service (ACE Credit®) has evaluated and recommended college credit for 27 of Sophia's online courses for college credit. These courses are eligible to transfer to many colleges and universities. 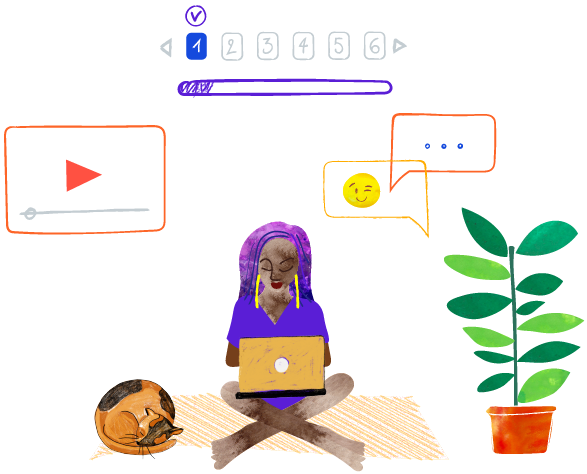 Click the arrows to take a tour of Sophia's learning environment. 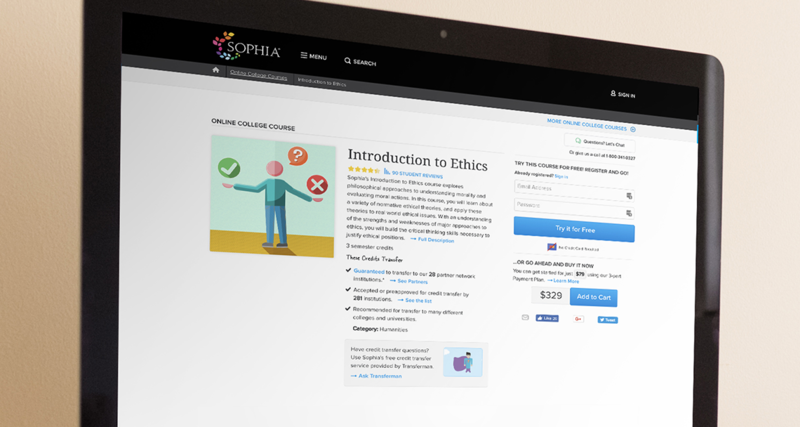 Students know exactly how their Sophia courses transfer to your institution. Our low-cost courses include all materials and don't require textbooks. 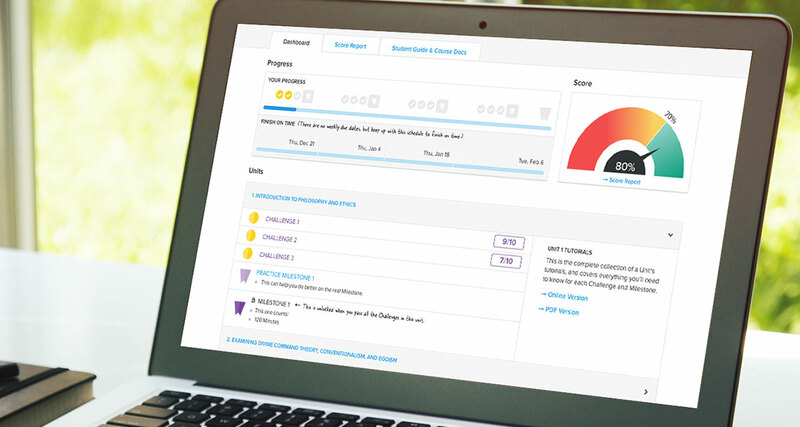 Students can monitor their progress with the progress bar and speedometer on their dashboard and get help, advice and encouragement from Learning Coaches. The Many Ways to Learn model lets students choose from multiple teaching styles and instructors. 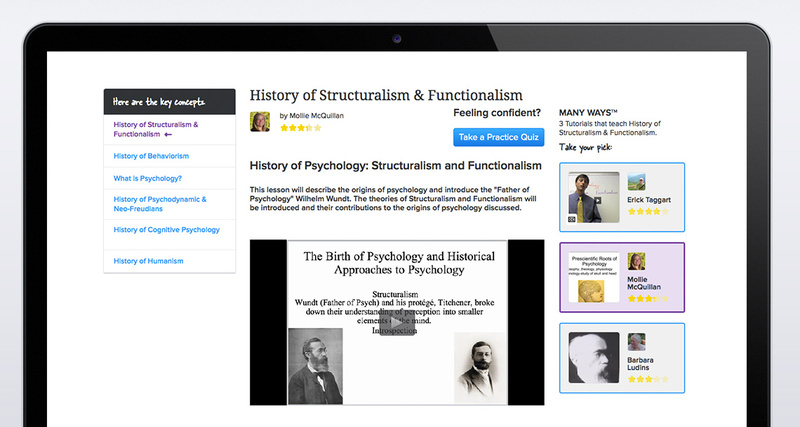 All learning resources are built into the course environment. Touchstones are projects that demonstrate the skills students are learning in the course. When a student completes their course, we automatically send a transcript directly to your institution. Get in touch to see a demo.